Current engages the health and wellness community by creating exciting, multi-sensory popup experiences and mindfulness events that feature local fitness professionals and in-house products that connect the mind and body. Current needed a brand and strategy that could run seamlessly through an expansive range of uses including logo, product, packaging, experience, and promotional advertising of events. 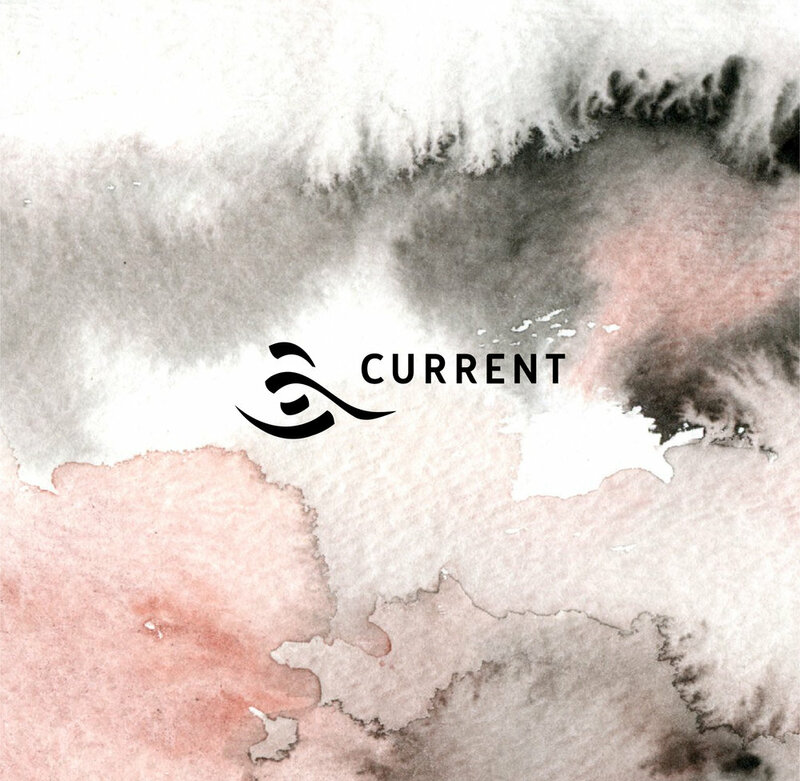 Current’s “Ebb and Flow” foundation is communicated through every touchpoint with the use of watercolor paintings, a serene color palette, minimal layout and a warm, sophisticated voice. The name, Current, not only speaks to the practice of being in the present state, or in the now, but also to a river’s currents and the course of life. It is complimented by the symbol, an abstraction of a river, which illustrates the ease of flow. To align with Current’s value of building unity and community through events, we designed and executed both large and small experiences that would engage the public. We identified and partnered with fitness and wellness professionals to create one of-a-kind events that boost the brands of all involved and encourage well-being.